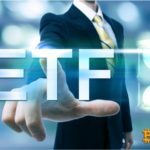 On February 11, Reality Shares ETF filed an application to open Bitcoin (BTC) exchange-traded funds (ETF) with the US Securities and Exchange Commission (SEC). The company's proposal to create cryptocurrency funds is called Reality Shares Blockforce Global Currency Strategy ETF. Reality Shares ETF is a subsidiary of a US financial company Blockforce Capital. 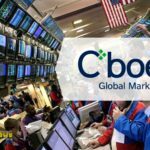 The company has applied for a listing of Bitcoin ETFs on the NYSE Arca Stock Exchange, as well as the start of trading futures on the CBOE and Chicago Mercantile Exchange futures. "Our fund plans to invest up to 25% of the capital in Bitcoin futures at the end of each quarter. However, due to the recommendation of consultants, we will limit investment in futures contracts in Bitcoin so that they accounted for no more than 15% of total assets on moment of buying futures." In addition to futures contracts in Bitcoin, the company intends to invest in a more traditional financial instrument: short-term debt, which is traded on US exchanges. 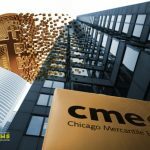 Reality Shares ETF does not plan to buy BTC cryptocurrency, instead, the company will invest in Bitcoin futures on the CBOE Futures Exchange (CFE) and Chicago Mercantile Exchange (CME) futures. The Securities and Exchange Commission rejected all Bitcoin ETFs applications. According to analyst Brian Kelly, the probability of a positive decision on the issue of opening cryptocurrency funds is extremely small. He believes that in 2019, the SEC will not allow companies to create Bitcoin ETFs. Despite the skepticism about funds from financiers and officials, the CBOE exchange re-submitted an application for ETF on January 30. The SEC will have to make a verdict within 240 days, taking into account the sluggishness of the members of the Commission, the decision on the CBOE application will be made in the second half of 2019. © 2018 bit.news | queries 231, for 0.729 sec.